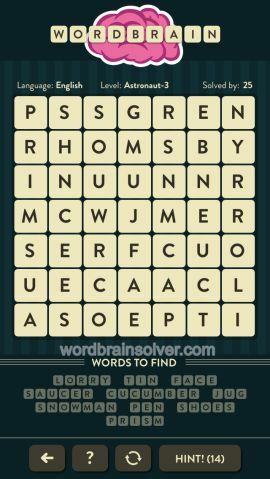 Wordbrain Astronaut Level 3 Answers and Solutions. My astronautpuzzle for level 3 is not the same as the one printed here. If I cannot solve mine, then I cannot progress. My top line is usrssee. Any idea what is wrong?